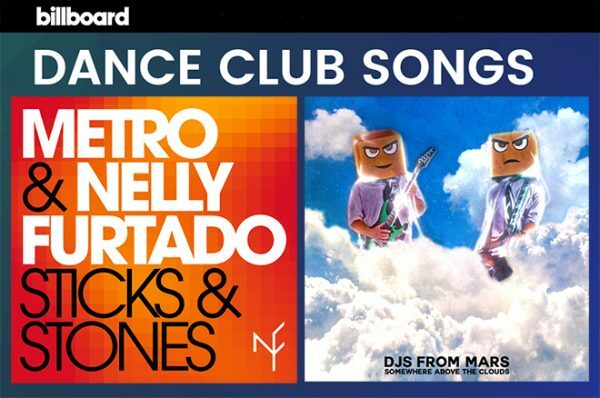 Only a little over one month ago, Metro and Nelly Furtado’s “Sticks And Stones” landed spot #42 as it entered Billboard’s Dance Club Chart on June 30th! Since then, we’ve been keeping an eye on the chart and tracking the tune’s various positions. This week, “Sticks and Stones” sits at spot #11! 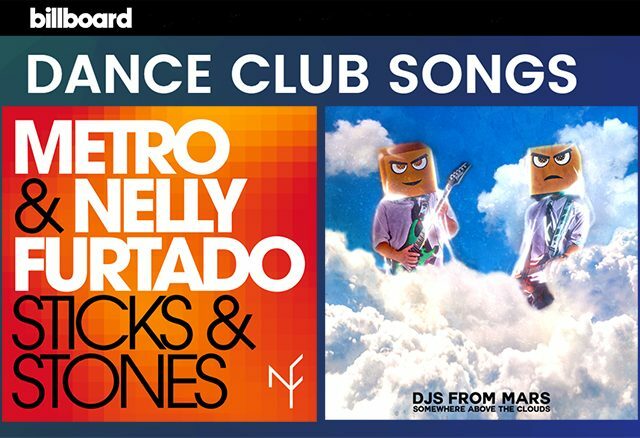 Only one spot to go before entering Billboard Top Dance Music Chart’s top 10 tracks! 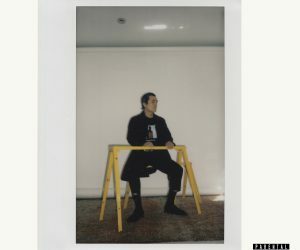 Not only is “Sticks and Stones” thriving on Billboard’s Top Dance Music Chart, but it also recently entered Billboard’s Hot Dance / Electronic Chart. Only two spots away from Steve Aoki’s “Pretender” and one spot behind Excision & Illenium’s “Gold (Stupid Love),” Metro and Furtado’s remix sits at #48 on Billboard’s EDM Music & Dance chart for the week of August 11th. DJs From Mars came back to Earth to release their latest single, “Somewhere Above the Clouds” this past June. Featuring a strong vocal performance from Francesca Condello, “Somewhere Above the Clouds” builds upon its bright guitar and piano driven beat and transitions into an undeniably infectious horn-driven hook that will bring you literally, above the clouds. Touring non-stop across 5 continents in the last 6 years, the martian duo is one of the most booked acts in the DJ-scene. Their tracks and remixes are continuously supported and playlisted by some of the biggest DJs in the scene including David Guetta, Tiesto, Lost Frequencies, and many more.